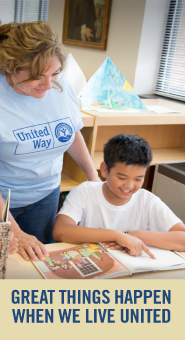 The Financial Wellness Institute (FWI) is actively accepting applications for the United Way Lubert Individual Develpment Account (IDA) and the College Savings Account (CSA) Matched Savings Program. The Lubert IDA and CSA matching dollar programs provide qualifying applicants with financial support to help interested individuals achieve the goal of either attending school (Post-Secondary Education), developing a business or homeownership. Agencies are encouraged to schedule an orientation while enrollment slots are still available. Individuals are encouraged to apply. For more information on applicant eligibility, or orientation availability contact Dana Covert, Program Manager Asset Development, Financial Wellness Institute at 856-251-0311.